Our manufacturing plant is based in Tekirdag/Turkey, with a monthly 25.000.000 meter strapping production capacity per month. The factory is located on 10.000 m2 land with an actual 7.500 m2 closed area with 2 floors each 8 m height. In 2014, we had 4 production lines with 13.000.000 m production capacity per month, then these figures increased to 5 production lines with 16.250.000 meter production capacity per month in 2015, and then 8 production lines with 25.000.000 m production capacity per month in 2018. Thanks to our customers for the demand. 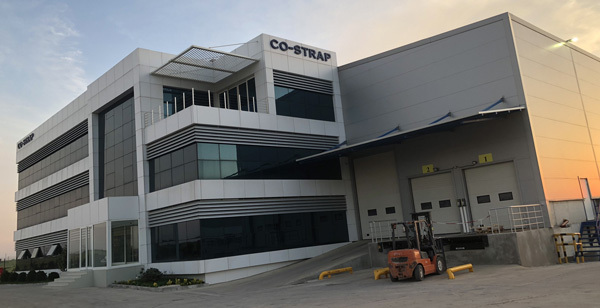 Co-Strap now being a worldwide brand in strapping business has been growing ever since with full capacity enabling its customers competitive prices globally with high quality products.